Is Ranch Dressing Bad For You? - Here Is Your Answer. Is Ranch Dressing Bad For You? Ranch dressing is one of the most popular dressings in North America but beware of some of the premade store bought brands that sit on unrefrigerated shelves in plastic bottles. There are some organic choices and making your own is the best way to maximize the benefits of this tasty dressing. 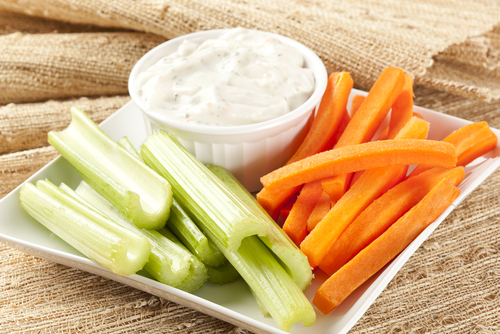 Ranch dressing is obviously great on salads but is also an excellent “dipping” accompaniment to celery, carrots, cucumbers (veggies of your choice), pizza, breadsticks, chicken wings, chicken strips and French fries. It is quite convenient to pick up a pre-bottled unrefrigerated conventional ranch dressing at the grocery store, but read the label to see if that is what you really want to put into your body. Store purchased ranch dressings often times make a salad much less nutritious. Store purchased brands in plastic bottles are going to contain phthalates and/or BPA’s unless stated on the bottle. If you choose a shelf brand of ranch dressing then at least go for the one in the glass bottle. Store bought ranch dressing can contain refined industrial oils, sugar, high fructose corn syrup, artificial colors, flavors, and preservatives. Note that the dry ranch dressing mixes have similar preservatives and ingredients that can come from genetically modified sources. If you are gluten sensitive then check the label to make sure it is gluten-free and manufactured in a facility that does not produce any gluten-containing products. 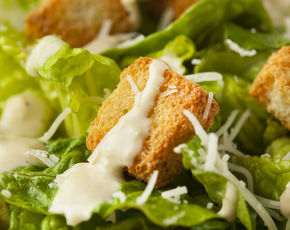 Most ranch dressings contain buttermilk and eggs, however, there are non-dairy alternatives. In general, store-bought ranch dressing is high in fat and calories and low in carbohydrates and protein. 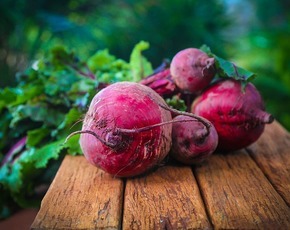 It is not a good source of vitamins, minerals or fiber. 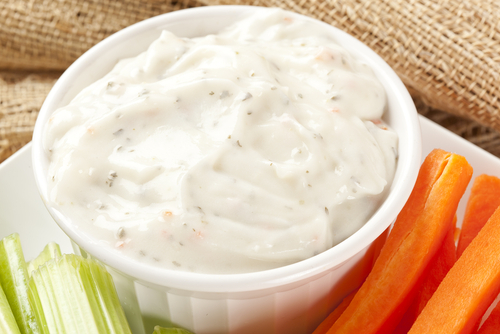 A 2 ounce serving of store-bought ranch usually delivers around 150 calories and 14 grams of fat. The sodium can be as high as 260mg which can elevate blood pressure and account for excess water retention. Refrigerated options of ranch dressing have fewer preservatives and if it is yogurt based, the calories and fat content will be less. Organic store-bought brands will eliminate the GMO and MSG issues and they come in gluten and dairy free options. 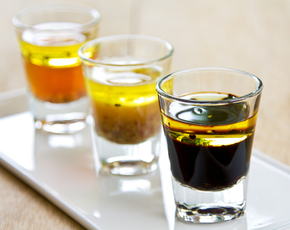 The infused oils are healthy and the herbs and spices also provide health benefits. If you have the time, making your own healthy homemade ranch dressing is definitely the way to go. You can decide on a healthy oil, dairy or non-diary ingredients and gluten-free ingredients if preferred. There are many great spices and herbs that can provide antioxidant and detoxification support. You can create a tasty and zesty dressing that supports your cardiovascular system and is lower in calories and fat. 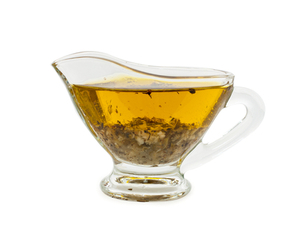 Adding apple cider vinegar to your recipe can help with weight loss, improved cholesterol, better glucose levels, improved GI function and better regulation of blood pressure. No trans fats, no artificial fillers and no preservatives.